Magna, known for supplying crucial auto parts like seats or mirrors to car manufacturers like BMW and Mercedes-Benz, has invested $200 million in Lyft equity as part of their new agreement to join forces and launch autonomous cars. 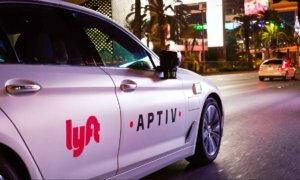 In this new deal, Magna will focus on supplying the automobile parts while Lyft works on development of autonomous tech. Both companies plan to share resources with their employees and once completed, Magna plans to make parts available to all car manufacturers. It seems like it won’t be long until ride-hailing services and self-driving vehicles go hand in hand.